The Liquid Force Pro Pad is the peak of comfort and customization in a kiteboarding strap and pad. A customizable fit of the pad is the highlight. The unique adjustable tab strap system offers multiple dimensions of position placement to fit any foot out there. 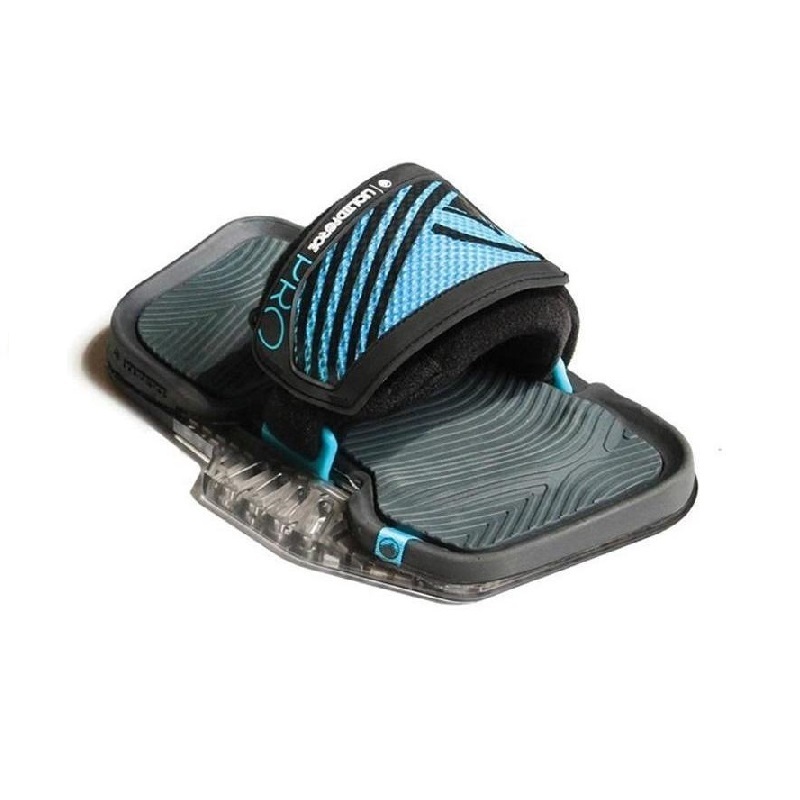 From high instep to low, short toes to long, narrow to wide feet, the Pro Pad will offer the perfect adjustment for comfort with or without booties. Dual density EVA insets and the choice of a multi shock absorption heal pad adds high performance vibration dampening and hard landing shock absorption. A slot mounting system allows easy compatibility on any kiteboard on the market with standard inserts or a track system.These straps will fit with just about any board on the market, making the Pro Pad one of the most versatile boards out there.